Following the gruesome murder of YS Vivekananda Reddy, AP politics heated up like never before. Both the ruling TDP and the opposition YSRCP have been making mutual allegations against each other. 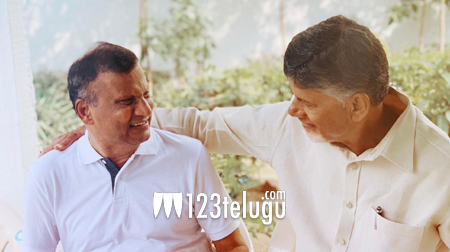 Some YSRCP leaders went a step ahead and said that TDP chief Nara Chandrababu Naidu doesn’t even care about his own brother, Nara Ramamurthy Naidu. Taking offense to the opposition party’s comments, Ramamurthy Naidu’s son and hero Nara Rohith issued a press note. Coming down heavily on the naysayers, Rohith said that his uncle Chandrababu Naidu takes a good care of his father like how he is looking after the 5 crore people of Andhra Pradesh. Rohith also clarified that his father is staying away from active politics only due to his health.